LGBTQ police officers reaffirmed their support of the Pride parade and its organizer, OutReach LGBT Community Center, as part of a complex and sometimes heated community listening session held Monday night. Nearly 90 people crowded into a meeting room at Madison’s Central Library to discuss differing views on whether or not it was appropriate for official law enforcement contingents to participate in the annual parade, to be held this Sunday, August 19 in downtown Madison. The session had been previously scheduled, at the request of OutReach, in response to protest from some members of the LGBTQ community over the cops’ involvement. After OutReach reversed their decision and voted last Friday to withdraw the applications of law enforcement groups, the controversy exploded online. Lt. Brian Chaney Austin told the assembled group that although he and his fellow LGBTQ-identified cops were personally upset by the decision, they understood and respected OutReach’s position. The session was moderated by Karl Van Lith, who works in Organizational Training Development at City of Madison and frequently facilitates dialogues between various parties. He began by having everyone in the room introduced themselves and explain why they had come. While many people simply expressed that they were “there to listen,” several expressed whether they supported or were against the decision, with a seemingly equal number on either side. Those who supported removing official, on-duty law enforcement from the parade (members are still welcome to march as civilians, according to OutReach’s statement) cited ongoing concerns especially from queer and transgender LGBTQ+ people over feeling unsafe with armed police marching side-by-side with them. “We need to shut up and listen to people of color and listen to and believe them about their experiences,” said Linda Ketcham, Executive Director of Madison Urban Ministry. Racial disparities continue to negatively impact communities of color and LGBTQ+ people nationwide. Wisconsin has some of the country’s highest rates of incarceration for African American men, and in Madison, Blacks are arrested at more than 10 times the rate of whites. Milwaukee and Madison are some of the most segregated cities in the country. Half of the state’s “Black neighborhoods” are actually prisons. In Madison and Dane County, we continue to rank among the worst when it comes to racial disparities and inequality for everything from employment to graduate rates. Police have shot and killed unarmed Black men like Tony Robinson and Dontre Hamilton with little to no consequence. Several people pushed back, arguing that Madison’s Police Department has come a long way in its policies and procedures, and that asking even its LGBTQ-identified members not to march constituted discrimination. 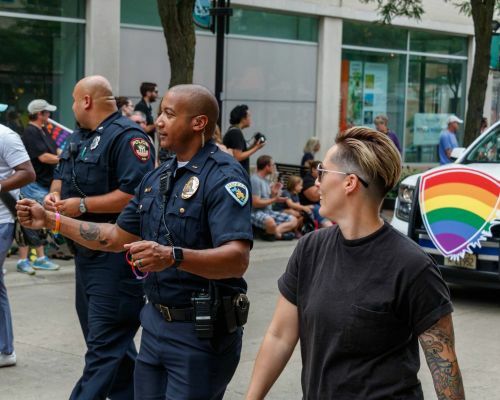 The MPD’s new transgender and nonbinary Standard Operating Procedure (SPO) was touted as one way in which LGBTQ officers on the force had worked with the community to create more inclusive policy. Police worked with now former OutReach volunteer and transgender advocate Ginger Baier to create the SOP, which seeks to enshrine in official documentation how police should interact with and treat transgender and gender non-conforming people while on the job. Chaney Austin said told Our Lives that all officers had recently received a one-hour training regarding interactions with and education about the transgender community. Several board members from OutReach attended the meeting as well, including Board President Michael Ruiz and Secretary Jill Nagler. “I know I hear a lot of vitriol from people who are against our decision,” Nagler said. “It makes me really sad, and it makes me scared to even say I’m with OutReach, so I can only imagine what QTPOC feel like in these situations. I’ve been on both sides. I grew up in a rural town where I was harassed, where I had a police officer call me a dyke. Those are strong, scary, powerful words. I moved to Madison and I hear stories, I see it, I’m not blind. 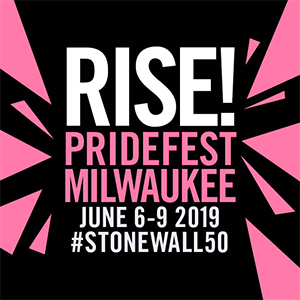 Chaney Austin noted that several members of MPD Pride still intended to march in the parade on Sunday, “as civilians.” Sheriff Dave Mahoney, who was not at the listening session, has also released a statement that he will also be marching as a private citizen. Mahoney told Madison365 that he understands and supports OutReach’s position, too. “When I first received the email from (OutReach executive director) Steve (Starkey), it caught me off guard. I got to admit I was disappointed. So I called and spoke to Steve and found out the reasons why, and understood. I understand that, I agree with it. “What was persuasive is Steve said that there’s been extensive conversations about this and we, in the eleventh hour, have decided that we want to ask law enforcement not to participate, so as to build a more collective and cohesive community, not drive a wedge between community members, but bring them together. And to do that, right now, we need to ask law enforcement to stand down and that’s fine. 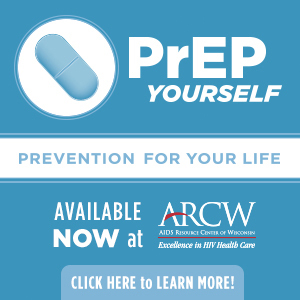 It’s what we should do,” Mahoney added. The Pride parade is scheduled for 12 p.m. to 4 p.m. on State Street and the Capitol Square. The Community Pride Coalition, which spearheaded the protests against police in the parade, will now march as well as hold their own afterparty specifically for QTPOC and trans/nonbinary persons at the Goodman Community Center from 6 p.m. to 8 p.m.
OPEN Board member Sandy Eichel announced at the listening session that the group would be creating a taskforce to facilitate further conversations around the issues of racial disparities, law enforcement relationship with the LGBTQ+ community, and more. Those interested should reach out directly.